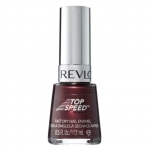 Varnishes Revlon Top Speed ​​series thanks to its unique formula dries to 60 seconds, and brush with a suitably shaped fibers, provides perfectly even coverage of the nail already in one stroke. Taking care formula contains silk proteins, vitamins C and E, panthenol, keratin , powdered minerals. 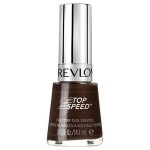 Revlon Top Speed ​​has in its composition top coat, making it extremely hard , resistant to abrasion and chipping. 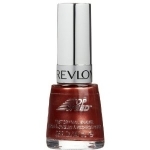 The nails are beautifully shiny and smooth for a long time .